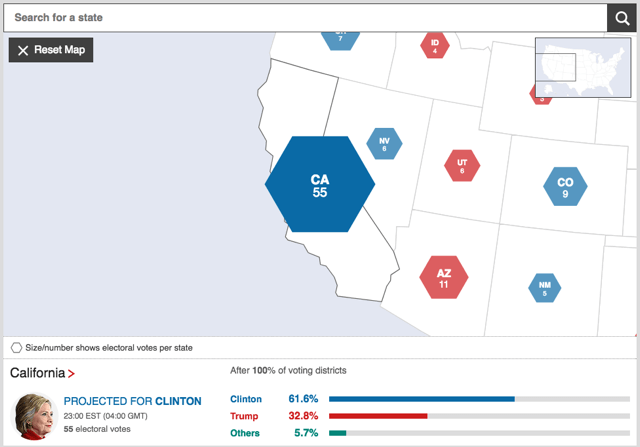 An interactive map to display election results for the US election 2016, overlaid with proportionally sized hexagons with responsive text sizing. My first major project at BBC News, and a dauntingly high profile one. Positioning and sizing the text inside the hexagons was a notable challenge- especially with BBC News's commitment to legacy browsers. 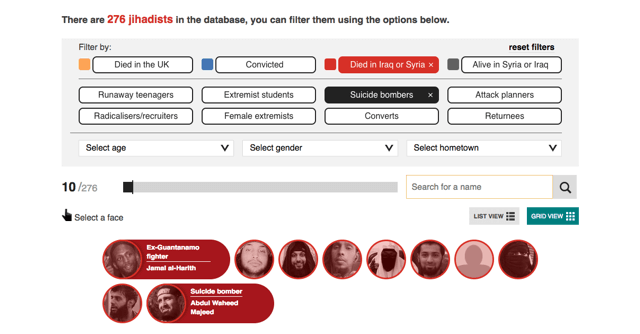 An interactive database of UK supporters of Jihadist groups. Filter by using the form or find a specific entry with the autosuggest search. This was my first project built using React as there was need for some complicated state management and the design lent itself to components really well. During development, we wanted to user test a lot because of some complicated behaviour around the filters: how do you bring a big dataset down to a small, relevant and personal selection? Throughout testing I replaced the filters and data to relate to pets to shift focus from the divisive and sensitive nature of the source material to the behaviour of the app. I gave a short talk about this process internally in "Dogs, Cats, Fish & Jihadists". 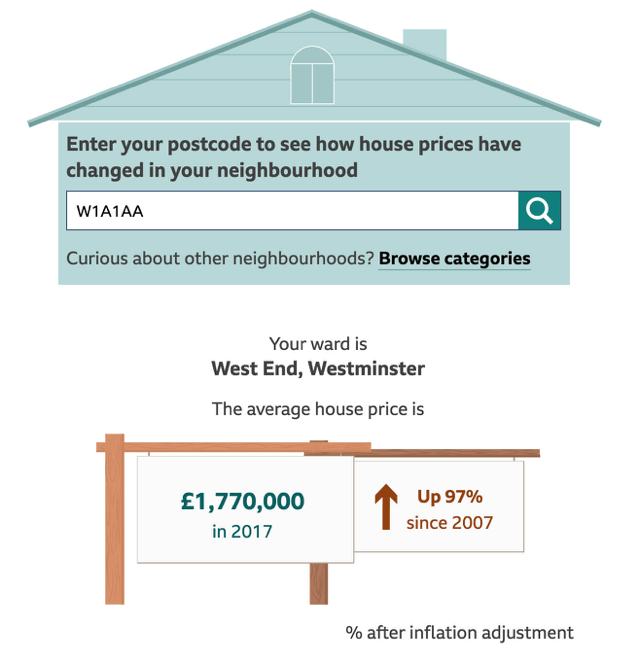 A tool to compare house price data between 2007 and 2017 at neighbourhood (ward) level. Built using ES6 and D3 to explore data for 8000+ wards. 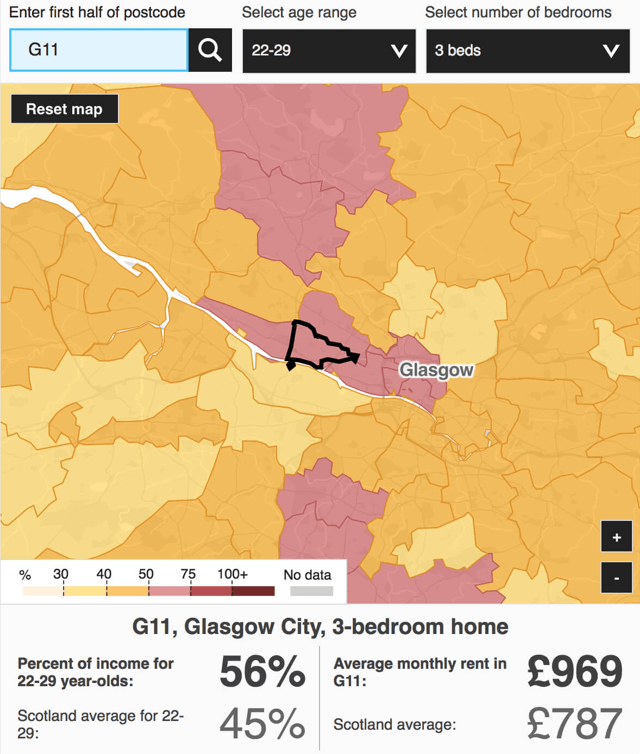 An interactive map showing rent as a percentage of income in Great Britain. Uses vector map tiles (produced by Ordnance Survey), using mapbox-gl-js for the front end. A lot of research and prototyping was required to see if we could bring this method to production with a focus on performance. Though the user is usually the main focus of my work, I also have a lot of experience working with complex Node JS tooling to facilitate efficient working methods and writing scripts to prepare large datasets for front end use. Experienced with working closely with non-technical stakeholders, mentoring junior developers and helping to onboard new starters, I pride myself on my communication skills. Working with others is part of software development that I genuinely enjoy. I advocate strongly for teams to be as diverse as possible, knowing the benefits of mixing gender, race and ability. Another topic close to my heart is mental health and wellbeing in the workplace, and I am a certified Mental Health First Aider. Outside the office, you can find me out in the countryside with my partner, daughter & whippet; adventuring and taking photos. I'm always on the lookout for some amazing coffee and always up for a chat about Pokémon or Scandinavian crime drama or taking down the patriarchy.